Because office romance among some employees can't be avoided, it is advisable to observe a policy, which includes the following. Every love story is different, but there is one thing office romances have in common: From inappropriate displays of affection to concerns about sexual harassment, they can be a headache for employers. But banning romantic relationships could be more trouble than it's worth--and ineffective, too, says workplace expert Di Ann Sanchez, founder of Hurst, Texas-based DAS HR Consulting, LLC. "You used to be able to just say 'No office romances' but today, they'll just go underground. Then, if you find out, you're forced to fire them because they violated your no-romance policy," she says. Instead, she advocates implementing an effective office romance policy, which includes these five essential elements. When it becomes clear that a romance is blossoming, those involved need to come clean to their supervisors, Sanchez says. That way, the employer can get involved in solving any potentially problematic issues, such as a supervisor dating someone who is a direct or indirect report. "Because of sexual harassment concerns, you can't let a supervisor date one of his or her employees. It's best to move that person to a new supervisor, if possible," she says. Once an employee relationship is revealed, Sanchez encourages employers to have each employee sign a contract that spells out certain expectations, while protecting the employees. The agreement spells out that the relationship is consensual and advises them of the company's sexual harassment policies. It also outlines behavioral expectations, including the fact that any show of favoritism or disruption of the workplace can be grounds for reprimand or dismissal. The contract should also advise them to notify the employer if they break up and spell out behavioral expectations if that happens. For example, that the former paramours will not share their personal relationship details at the office and will conduct themselves professionally when they work together, Sanchez says. This is a big one, Sanchez says. 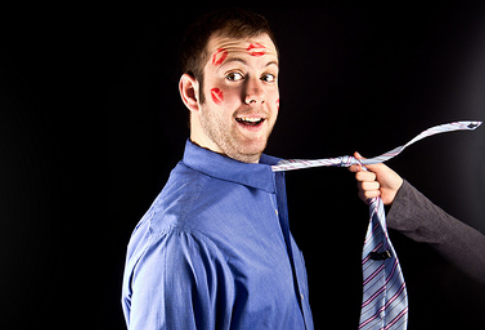 Public displays of affection (PDA), including touching or kissing can make other employees uncomfortable--which is a morale problem and could present legal issues if such discomfort is part of a hostile workplace pattern, she says. This extends to online communication, too. “Just as PDA is prohibited, so should romantic texting, email, or other use of company property to ‘enhance the relationship,’" Sanchez says. 4. Keep tabs on office sentiment. It's important to check in with other employees and give them avenues to tell their supervisors if they are uncomfortable or if the relationship is affecting the workplace. "If your employees perceive favoritism or other problems, it's not going to be good for your company," Sanchez asserts. That could affect productivity and, in the worst cases, cause turnover. It's always a good idea to run any policy by legal counsel, but especially so with office romance policies to ensure that your company is abiding by all national laws and regulations. Your attorney can help you craft a policy that helps protect everyone involved from sexual harassment while avoiding an unenforceable ban on employee relationships.